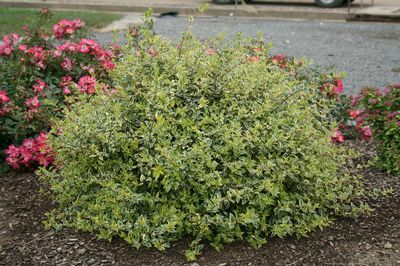 This low-maintenance, sunny shrub will make you want to twist and shout! 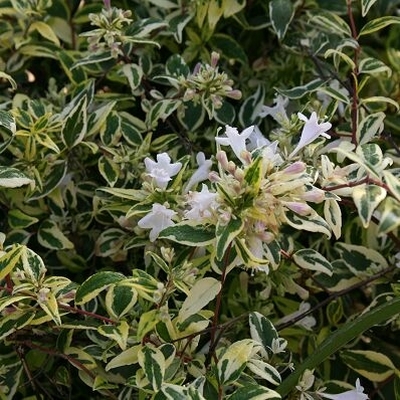 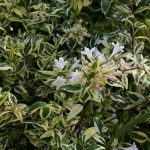 Vivid green and yellow new growth is the perfect backdrop for light pink summertime flowers, adding a refreshing burst of brightness to any landscape, while mature ivory and green variegated foliage ages to perfection. 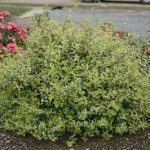 A moderate grower reaching 4 to 5 feet tall and wide, Twist of Lime™ is a brilliant choice for garden beds and borders.